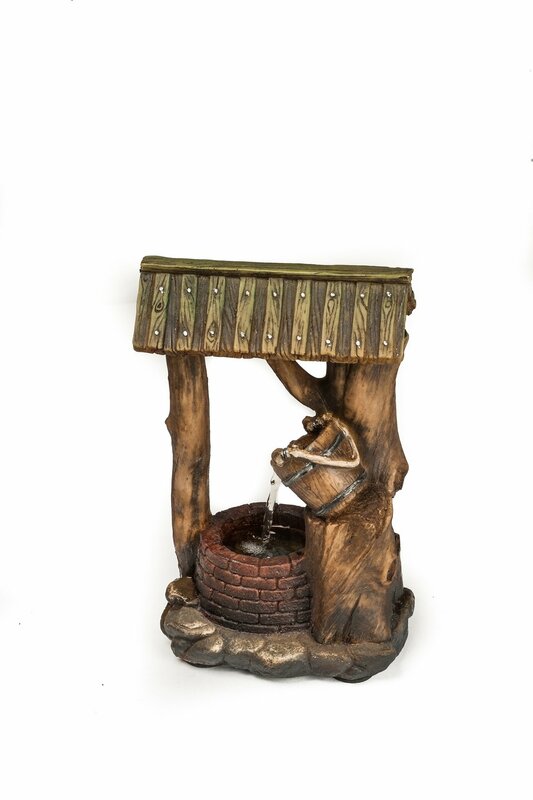 Small in size but still capable of having a big impact on your decor, the Small Wishing Well Water Feature as a charming design with water flowing out of a tipped bucket placed on a faux log at the front. The highly detailed fountain has a faux stone base and a faux wood roof. The Small Wishing Well is a table-top sized water feature. It has been designed to look like an old brick well with a timber frame and roof. The water runs out of the bucket and into the trough. There is a LED light in the well. The water feature includes the pump and LED light.